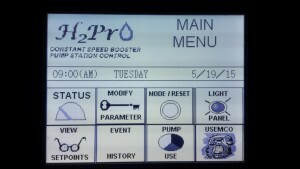 The USEMCO innovative H2PrO is the ultimate design for new and existing applications utilizing up to three pumps. 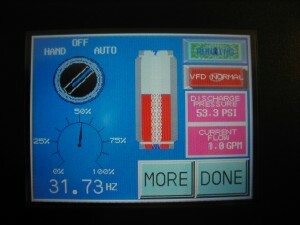 This controller allows factory or field configuration to sequence pumps based on flow, pressure, or both. 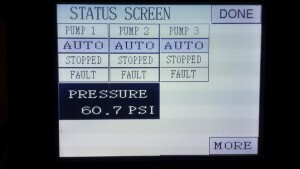 Signals are buffered by time delays the operator can field adjust. 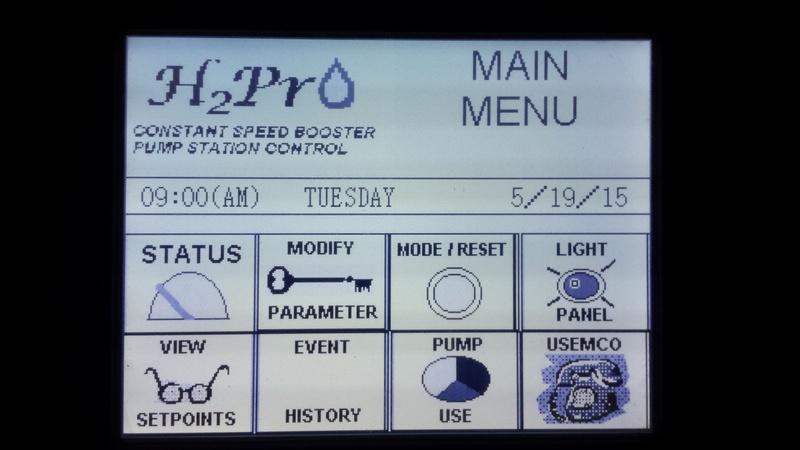 Best of all, the H2PrO is UL approved, SCADA ready and uses non-proprietary hardware. 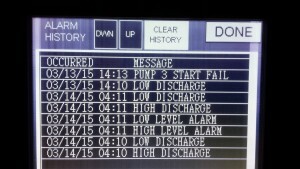 Screen navigation designed for field personnel. 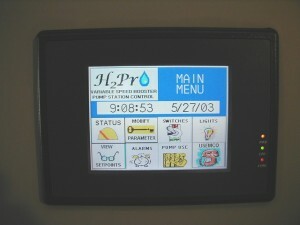 Manuals are not necessary to make changes in the system or record date. Keeps the operator informed of alarms and other events such as high flow pump exercise cycles, and tests. 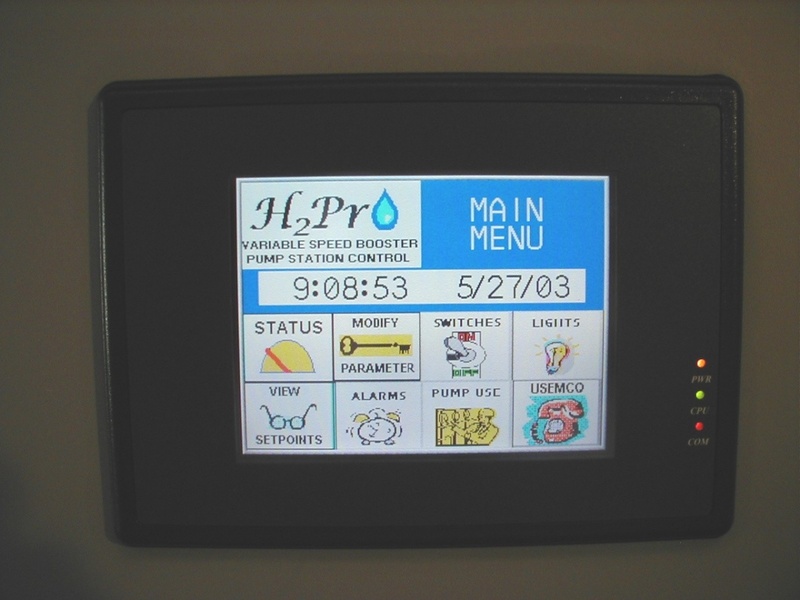 as many as thirty events can be displayed. 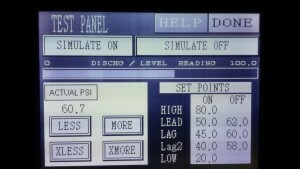 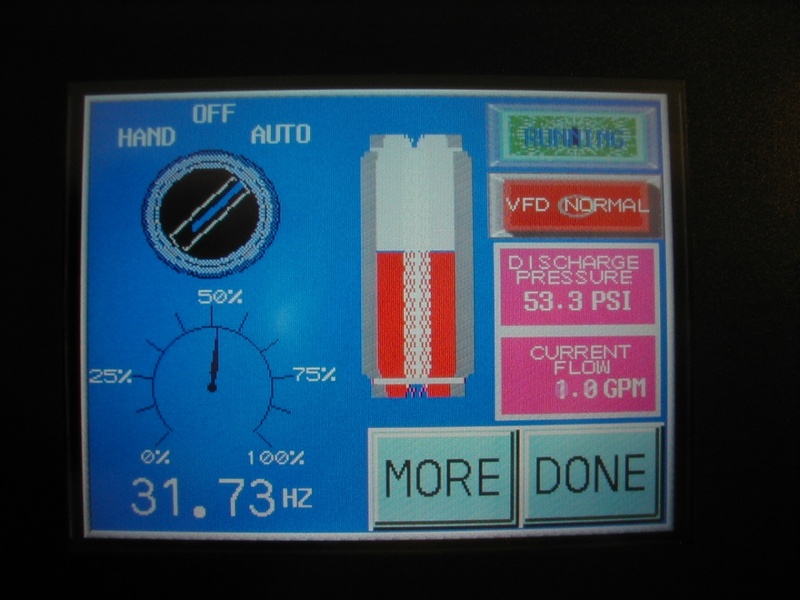 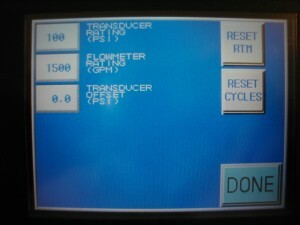 Instantly check the parameters and condition of the entire system or individual pumps. 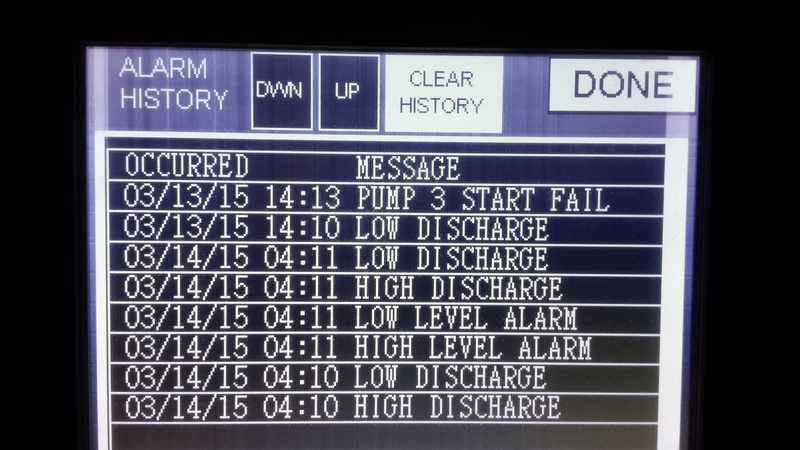 Discharge. 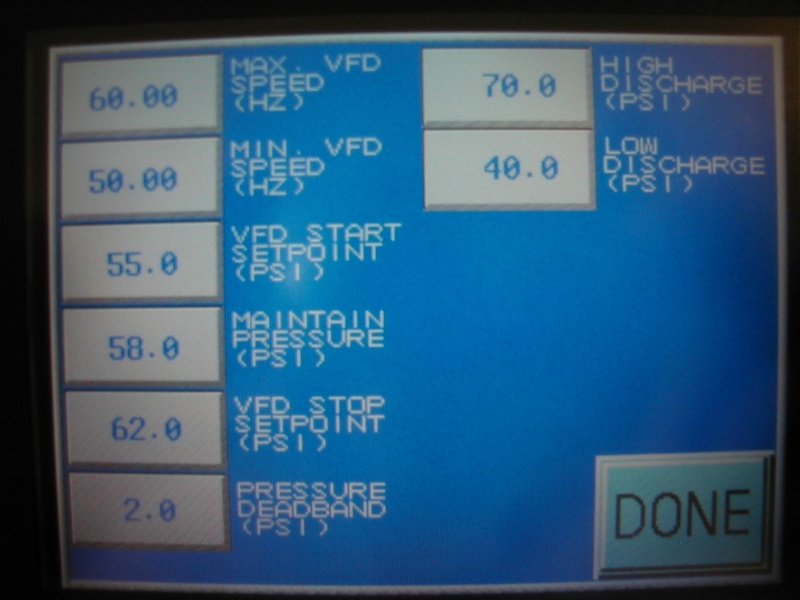 Suction Pressures: pump speeds, and flow events.